Throughout history, some books have changed the world. They have transformed the way we see ourselves - and each other. They have inspired debate, dissent, war and revolution. They have enlightened, outraged, provoked and comforted. They have enriched lives - and destroyed them. Now Penguin brings you the works of the great thinkers, pioneers, radicals and visionaries whose ideas shook civilization, and helped make us who we are. 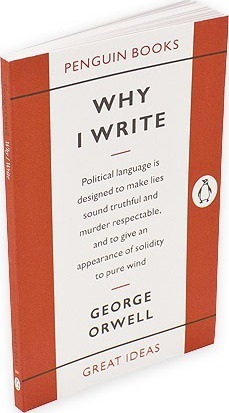 Whether puncturing the lies of politicians, wittily dissecting the English character or telling unpalatable truths about war, Orwell's timeless, uncompromising essays are more relevant, entertaining and essential than ever in today's era of spin. GEORGE ORWELL (born Eric Arthur Blair) was born in India in 1903, but moved to England in 1907 and in 1917 entered Eton, where he began writing. He worked widely in journalism but fame came in 1945 with the publication of ANIMAL FARM.